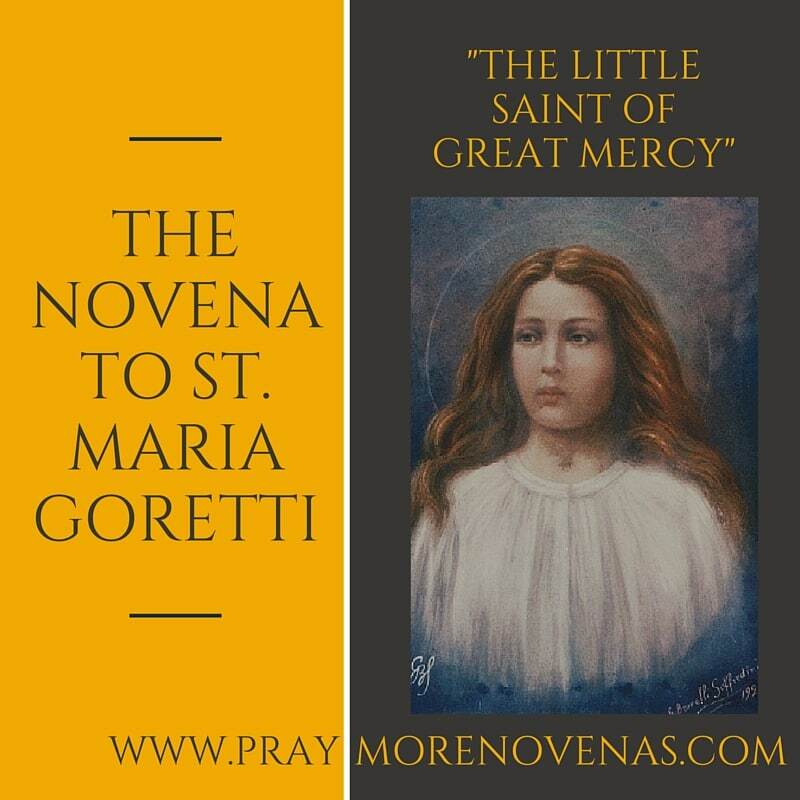 Here’s Day 3 of the St. Maria Goretti Novena! Please pray for my husband and I as I am encountering health issues and going through a drought. I can only work part time, due to health issues. Until about one year ago, I was forced to go part time with the health issues. My husband and I are small farmers and depend on his income to get through the year. I have prayed four novenas and am struggling with the silence of not being answered. The one thing I know is that I need alot of people to pray for us. I continue to pray for all prayers to be answered, through these novenas. I do believe in miracles and have seen novenas that are answered. I thank everyone who prays on our behalf and for everyone’s novenas to be answered. My prayer intentions of this novena are for my best friend Lourdes! May the intercession of St Maria Gorretti help her do the most difficult thing for us humans: find forgiveness in our hearts for the ones that harm us especially when they are our very own family members….and even want heaven for then no matter how much they crucify us…(Lourdes I know you are trying your best and you are doing it the right way, by not doing it on your own but through Christ; I pray that by the end of this powerful Novena your heart will be restored and not harbor any resentment in it! But pure love of neighbor and enemies) …Amen! Jesus we trust in you. Praying for healing on henry my friend ,and my own healing. May st maria goretti help us locate the grave of our sister named after her. I pray today and every day for the conversion and healing of body mind and spirit for my daughter who has been deceived and is on the wrong path. Jesus please draw her to you. St Maria G. please pray for us. I left up the intentions of our novena community in prayer. I’m so happy to be part of this novenas it has changed my life a lot thank you so much and may the good Lord Jesus Christ bless you John & Annie. Dear Lord. help me to not only forgive those that have hurt me, but yes, also to pray for them to go to heaven. I continue to pray for cousin Mark, and my families needs. O Jesus, for love of you, with you and for you. Amen. Help me to forgive anyone who has done wrong to me and for those who have hurt me in anyway. I ask for purity and chastity within my marriage. Thank you for a safe delivery home from yesterday and my anointing at St Marie’s. I’m feel better although tied. Am thankful for this respite. Lord jesus I place my financial needs into your hands. Lord I pray for financial deliverance. Blessed mother I place my daughter into your hands I pray that she be successful with her exams. Blessed the hands of the person correcting the papers . I pray that my children will have forgiveness in their hearts. I pray that they will stand out as leaders and not followers.